Please join us for the 7th Annual Energy & Environment Symposium April 17-18, 2018. 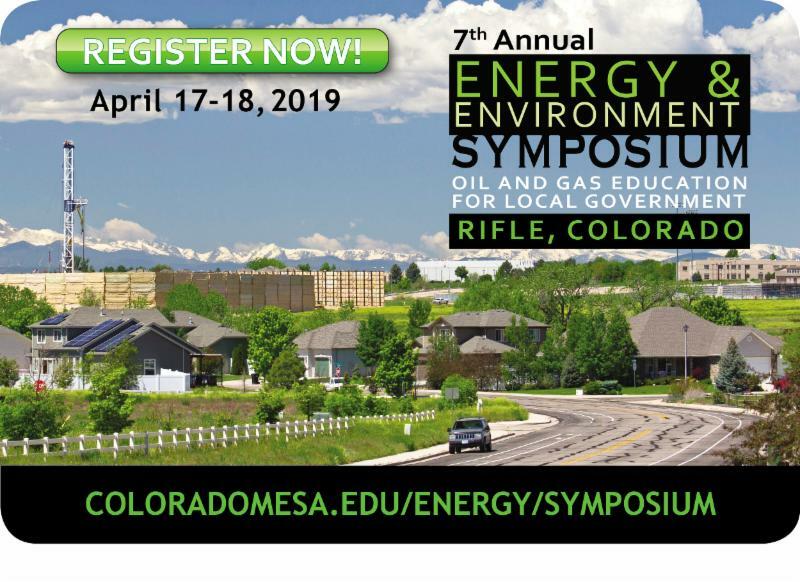 This popular event was attended by 262 of your peers last year and provides oil and gas education developed specifically for Colorado's county and municipal officials. Come join the discussion and engage our expert speakers. Early registration is now open. Register now and cover your registration fee using your 2018 budget! Last year the event sold out a month early so be sure you do not miss out. The even's target audience includes those who navigate energy industry issues on behalf of local governments including municipal and county planners, city and county elected officials and managers, finance officers, and other local leaders and consultants to local government.